There’s no painting like snow painting! Ever tried painting snow? ….While also standing in snow? ….Outside? It had been a few years since my last snowy winter efforts. Until a few weeks ago. My family and I spent a few days in California’s Eastern Sierras. We stayed in the town of June Lake which had some snow on the ground when we arrived, and a few more inches fell during our stay. Temperatures were in the 20s (F) so we bundled up the kids (and ourselves) and enjoyed a little white before Christmas. I managed to paint three small pieces while exploring the beautiful area. 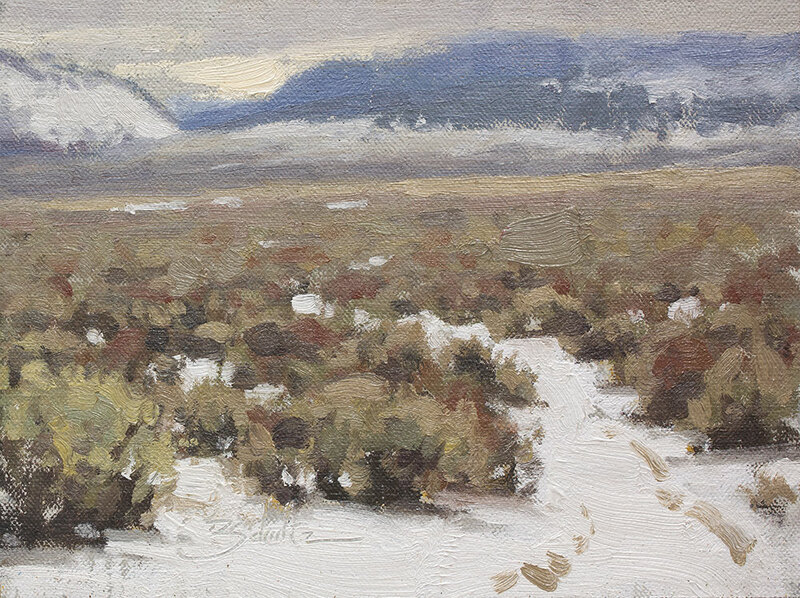 And let me be the first to state the obvious — painting in the snow is cooold. Beyond recommending that you dress as warmly as possible, I have a few tips to share that might be of help when painting snow outdoors. Prepare for the extra brightness, especially if the sun is out and reflecting off the snow. Set yourself up in some shade if you can. If not, lay down a black garbage bag or dark-colored blanket below your easel. 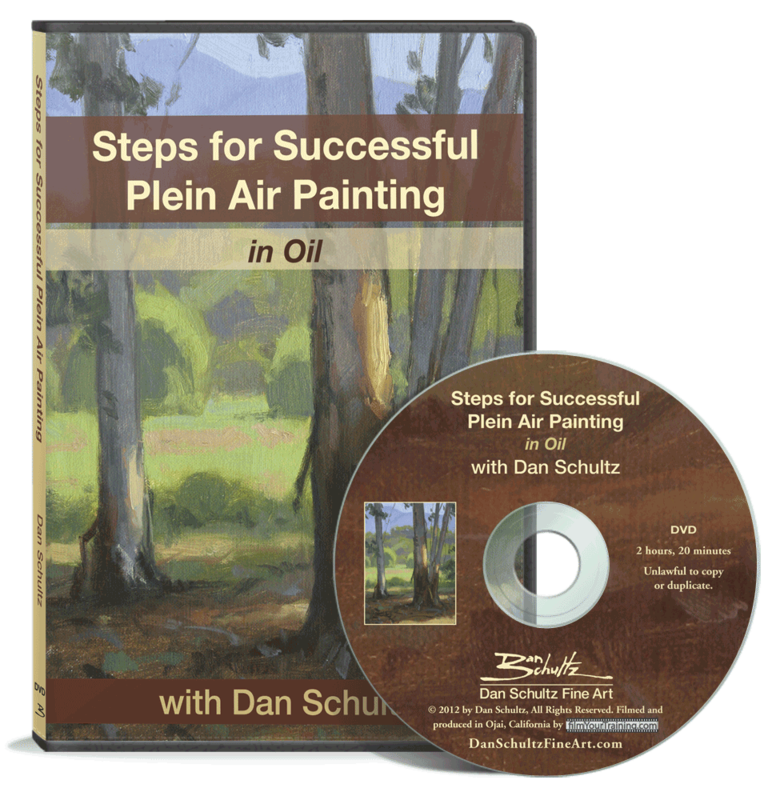 It can reduce the brightness that’s blasting up from behind your palette and canvas. Pay attention to your hands. Fingerless gloves (perhaps even more than one pair at a time!) will allow you to grip your brushes as usual. Try hand and foot warmers inside your gloves and shoes. They can be great for those extra cold sessions. Bring your easel inside overnight. (Or at least your paint and palette.) You want to keep your paint warm so it doesn’t get cold and stiff (and lonely) in the car. Stiff paint is tough to work with. 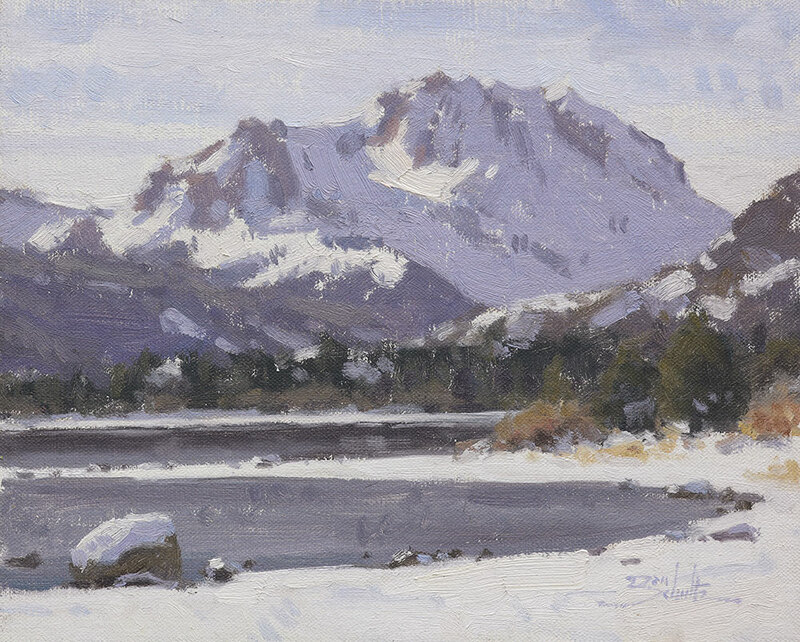 Painting snow outdoors is the best way to study its variety of colors and effects on the landscape. Plus your friends will think you’re extra tough. So give it a try sometime. 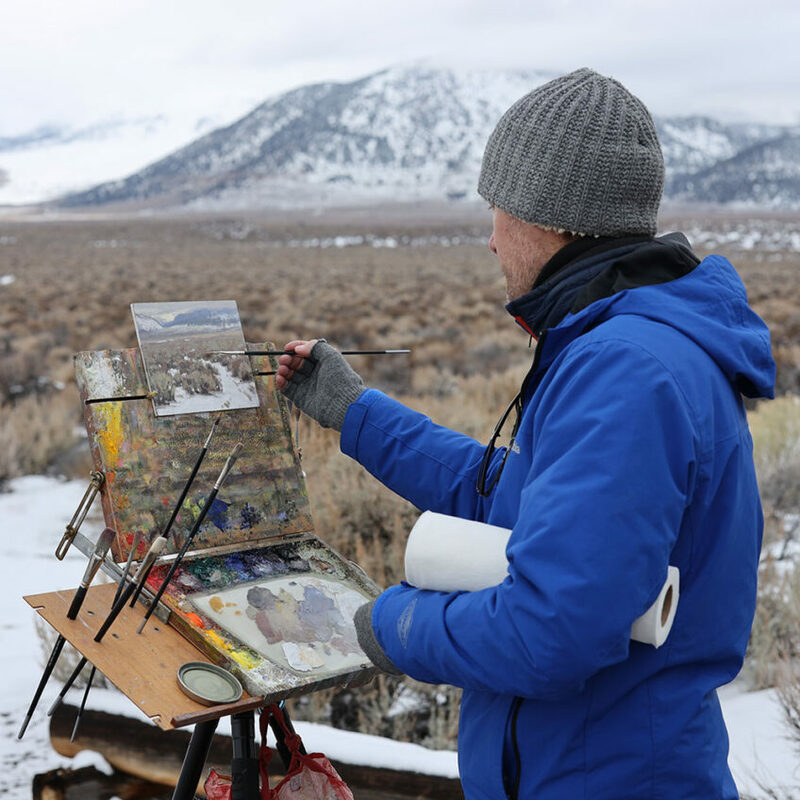 And hopefully these tips will make your next snowy painting session a little easier. Very helpful & informatve! Thank you, Dan!